The USTA of Central Arizona (CAZ) is very proud to partner with The Williams Real Estate Company in a fundraising effort to help further the mission of the organization. When the company was started four years ago, The Williams Real Estate Company wanted charitable giving to be their main goal, backed by outstanding customer service and community relations. From this mission statement, passion and the desire to continue to promote community growth has helped them to donate over $250,000 to various charitable foundations within that last three years. The concept of the Williams Real Estate is simple:	From every successful close of escrow they donate	a large portion	of their commission earned to a local charity. This is a personal choice and is something they want to do to help grow a community that has given so much. The arms of the tennis community link these two companies together where Brian Becker, one of the company’s top	Realtors, grew up in a tennis family, having a mother and two sisters who played college tennis and now has a niece and two nephews with dreams of playing on the next level. In partnering with CAZ, the main goal is to make more charitable funds available to help grow tennis, deemed “The Sport of a Lifetime” because of its appeal to all ages. You can help promote the great of sport by partnering with The Williams Real Estate Company by referring a friend or family member. Because CAZ is a non-profit organization, this would be an alternative way to help yourself while indirectly giving back to a sport that gave so much to you. Looking to buy or sell real estate? Help yourself while helping the tennis community. Call Brian Becker of the Williams Real Estate Company, (602) 743-0436. For more information, visit http://bbecker.thewilliamsre.com. 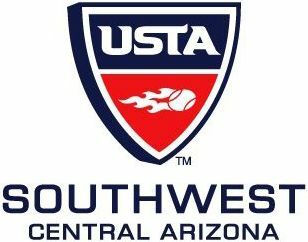 Mention this ad and a portion of the proceeds earned goes to help the USTA of Central Arizona (CAZ) promote and develop the growth of tennis.